Very funny a must watch!! Set in Arakawa, Tokyo, the series tells the story of Kou Ichinomiya, a man who has accomplished everything by himself. Ever since he was little, his father has taught him one rule: to never be indebted to another person. One day by accident, he falls into the Arakawa River and almost drowns. A girl by the name of Nino rescues him and, in return, he owes her his life. Unable to accept the fact that he is indebted to her, he asks her about a way for him to repay her. In the end, she tells him to love her, beginning Kou's life of living under a bridge. 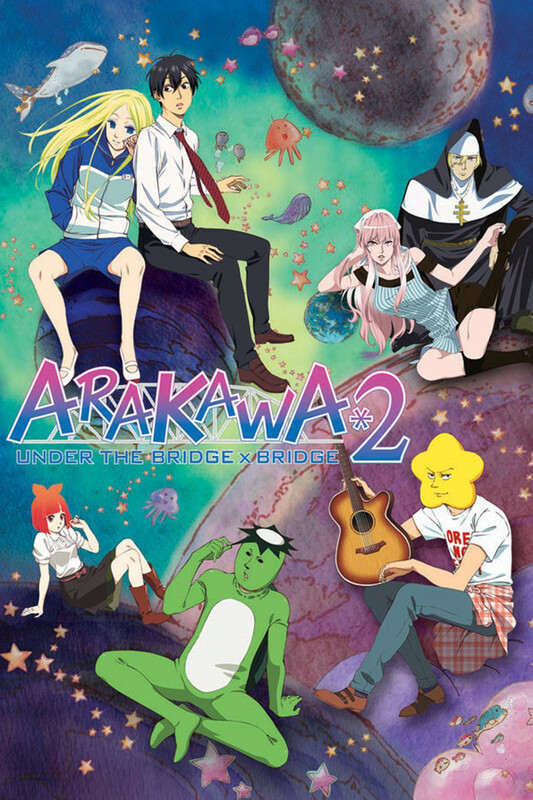 However, as Kou starts to learn, Arakawa is a place full of weirdos and all of the people living under the bridge are what society would call "denpasan". This was one of the most interesting anime series I have watched. Characters are very well though out and even though to some may seem different they are very intricate. As a first impression it drew me in, I can't wait for next season...season 3 of course. This show had me LOL-ing all throughout the series. I really enjoyed watching every single chapter within the episodes. The characters are well done and portrayed. One thing, in my opinion, don't continue reading if you don't want a spoiler! I wished they closed the series properly. Like they didn't add how Rec and his father ended up, or what happened to Nino's parents and why she says she's from Venus and how she ended up there. I hope they make a season 3 and close-knit everything properly. Other than that, series is great and funny! I highly recommend it if you want something to relax to and get a great laugh from.